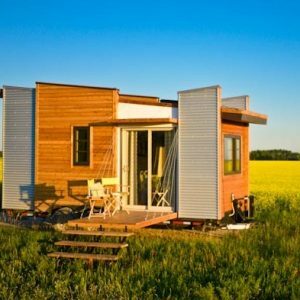 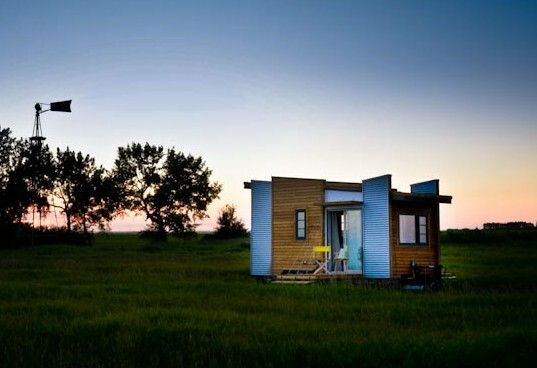 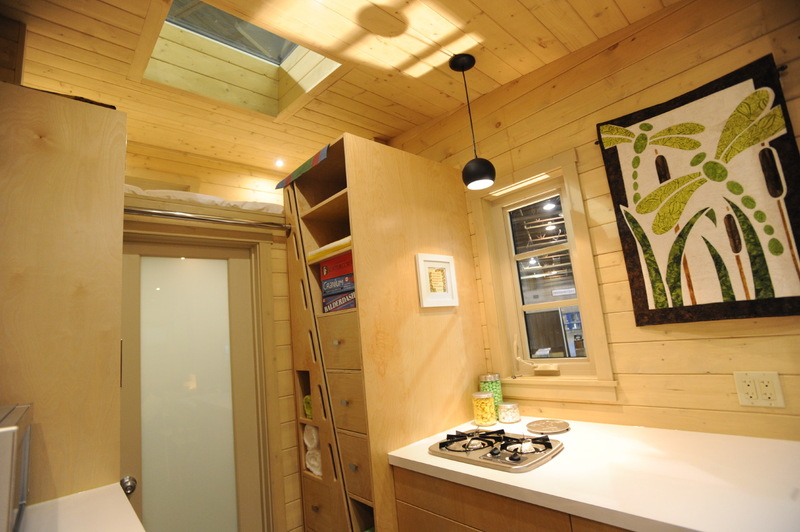 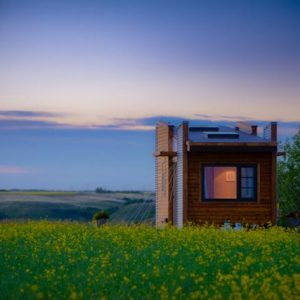 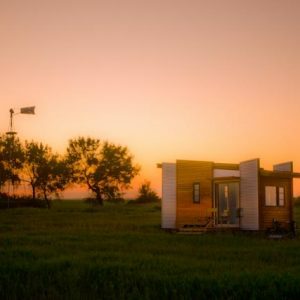 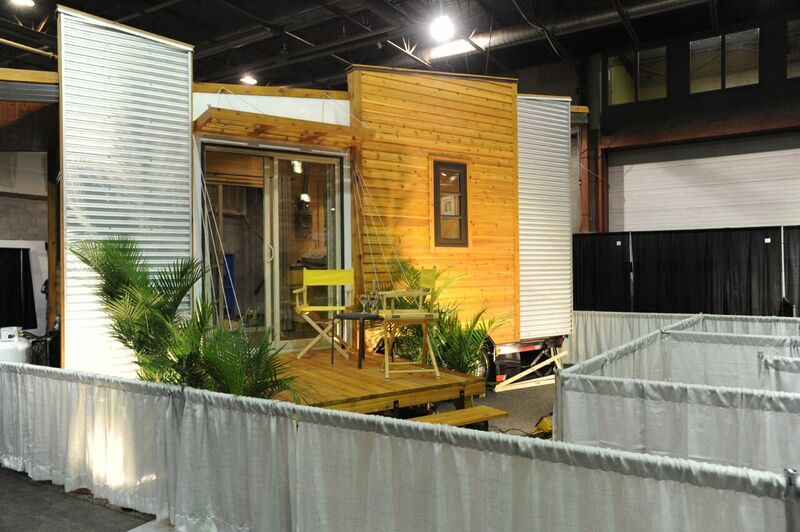 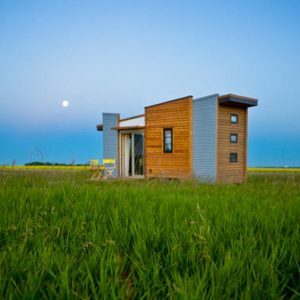 The Firefly design followed our Dragonfly which is our contemporary take on the tiny house movement. 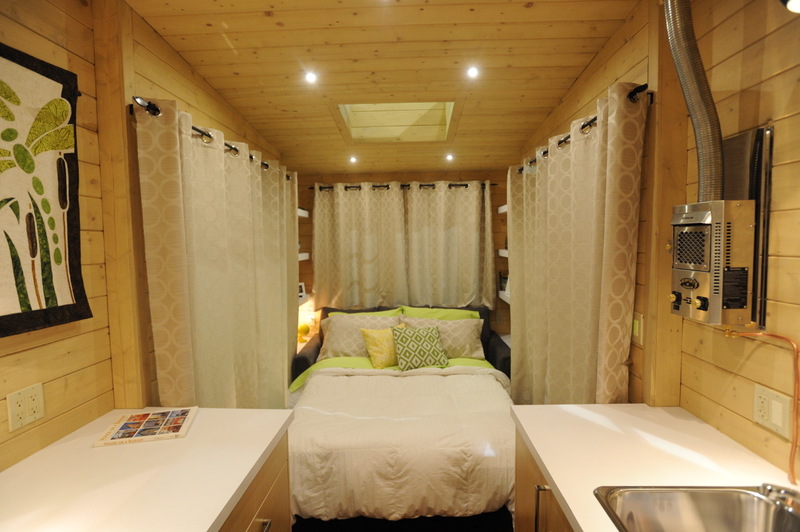 The Firefly features a design that could comfortably sleep three people on the main level and is suitable for entertaining with lots of storage. 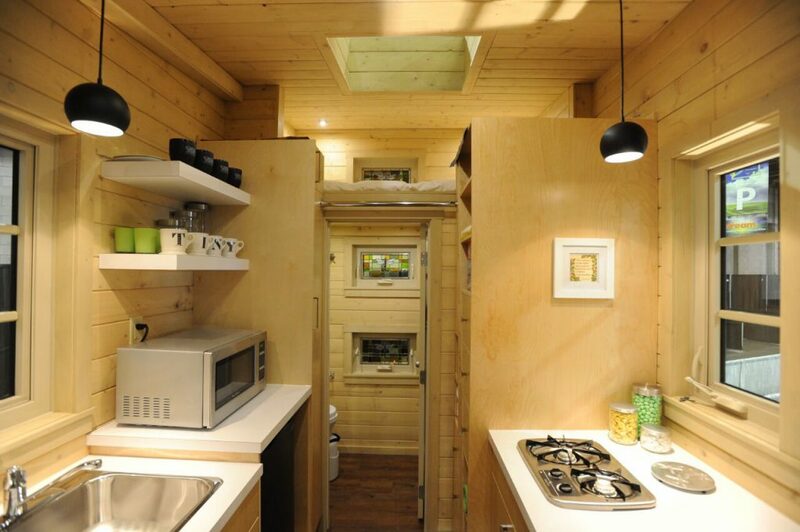 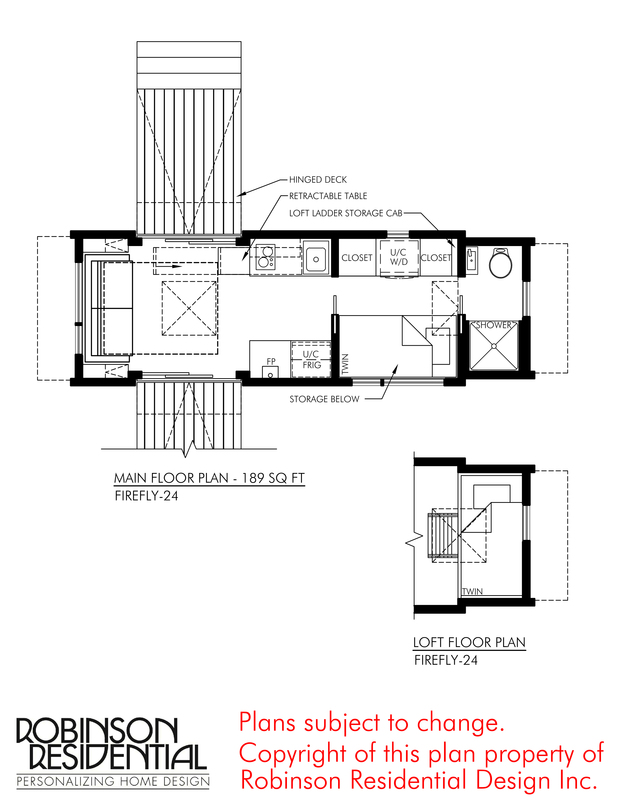 The house is twenty-four feet in length and eight foot four inches wide with a total square footage of 189 sq ft. 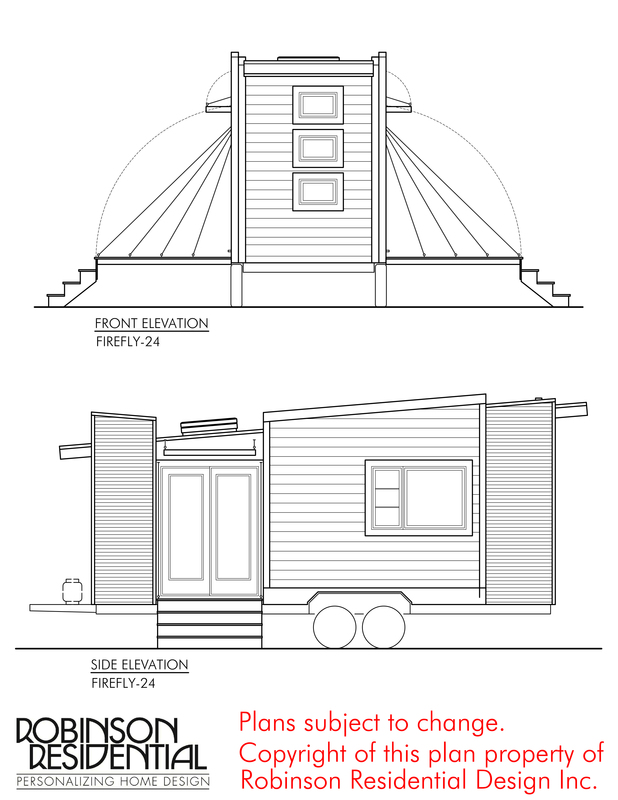 The structure is built on a flat deck trailer and the overall dimensions make it road legal for easy transportation.